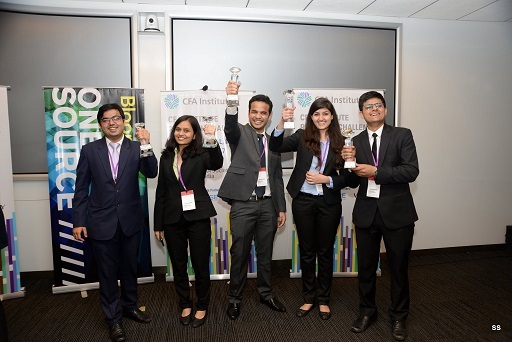 The CFA Institute Research Challenge provided us with a unique learning opportunity which imparted exposure to the industry practices in the investment research domain. We got to learn the research methodology and how to implement them in conjunction with the classroom learning. The guidance that we got form industry mentor, interaction with the subject company’s management and access to Bloomberg database helped us immensely in the research process. The experience of presenting our investment proposal to a panel of judges consisting of luminaries from the investment domain was very enriching. The challenge is one of the most sought after competitions amongst the B-School finance students and we are privileged to be a part of it. The memories, experience and knowledge that we got will stay with us forever.